Saving money on a new Audi in Miami, FL is simple. The first step is to research the Car model of interest and identify any other vehicle of interest. You’ll receive Car price quotes from Miami, FL Car dealers. Simply compare prices to find the best Car prices in Miami, FL. 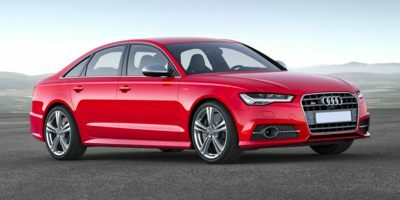 The much-loved Audi A4 returns to 2018 with a new look that is a bit more angular and athletic in appearance than the last year's model. 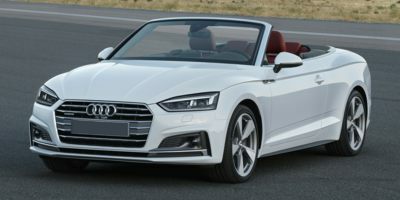 The trapezoidal "Singlegrame" grille dominates the front end, while more defined wheel arches grace the sides and a distinctive shoulder line begins at the hood, runs the length of the A4 and ends at the tail. The available Black Optic Plus package provides a sporty, striking look that is the perfect addition to the 2018 A4. The A4 is available in Premium, Premium Plus, or Prestige trims. Standard amenities include auto-leveling xenon headlights with LED daytime running lights and LED taillights, 17-inch alloy wheels, power adjustable heated mirrors with integrated LED turn signals, and heated windshield washer nozzles. Inside, 3-zone automatic climate control, tilt/telescopic steering wheel, leather seating with 8-way power adjustability, one-touch up/down power windows, aluminum inlays, power sunroof and ambient LED lighting as standard. Standard technology includes Audi's MMI infotainment system with a 7-inch color display, Bluetooth hands-free connectivity, cruise control, a rearview camera, rain-sensing wipers and lights and a 10-speaker stereo system. 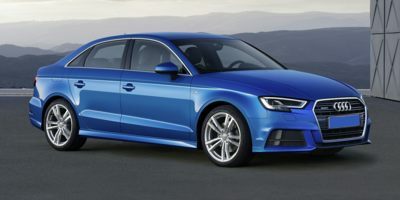 Options for the base A4 include a Sport Package with lowered suspension and upgraded front seats, a Convenience Package that includes power heated mirrors, power seats and SiriusXM satellite radio and Audi Advanced Key. The Navigation and Telematics package adds Finally, adaptive cruise control, active lane assist and traffic sign recognition are part of the Driver Assistance Package available on Prestige trims. 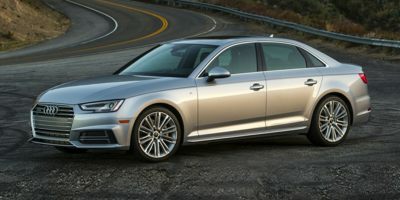 The S4, the A4's ultra-sporty variant, includes a 354-horsepower turbocharged V6 connected to an 8-speed transmission with full-time quattro all-wheel drive. This means 0-60 times of under 5 seconds and a top speed of 155 mph. The S4 comes in Premium Plus and Prestige trims, which are similar to those on the A4, but most buyers are interested in the S4's performance pedigree over technology and luxury appointments. Standard safety features on all A4 and S4s include front, front-side and Sideguard head curtain airbags, antilock brakes with electronic brake-force distribution and brake assist, stability and traction controls and a tire-pressure monitor. Rear side airbags are optional across the lineup. Compare Miami, FL Audi prices. Get free price quotes for any Audi in Miami, FL. See the invoice price, MSRP price, and clearance prices for all vehicles. Save big when Miami, FL Audi dealerships compete on price. Compare Audi prices, pictures, reviews, local rebates and incentives, and more. View all used vehicles for sale in Miami, FL. Compare used Audi vehicles and get the best deal in Miami, FL. See prices, pictures, vehicle specs and everything you need to get the best deal on a used Audi. Bad credit auto loans and good credit auto loans for a new or used Audi in Miami, FL. Compare current auto financing rates and get approved before you go to the dealership. We can get financing for nearly all new or used Audi buyers in Miami, FL. Get a free auto loan quote today. Compare auto insurance rates from top lenders. Get the lowest monthly payment on a new or used Audi in Miami, FL. With free Audi insurance quotes, you can save money regardless of driving history.